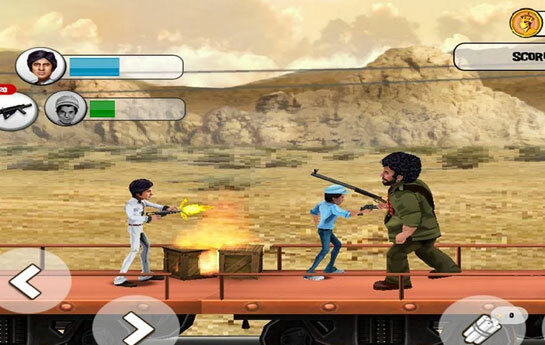 Sholay this is a bollywood movie based games. 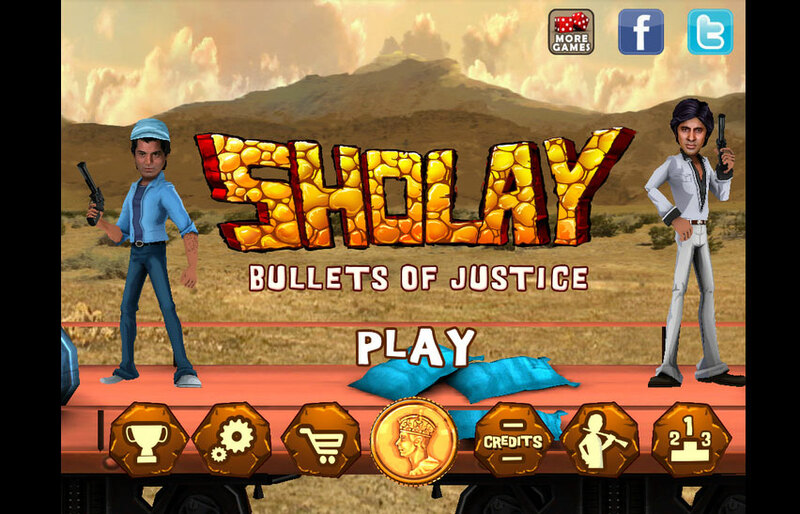 After creating history on silver screen with the legendary hit "Sholay", Vroovy presents Sholay - Bullets of Justice, an ultimate action packed game giving you a chance to be a part of the greatest story of conquest in Indian cinema and play as Jai and Veeru as they save Ramgarh. 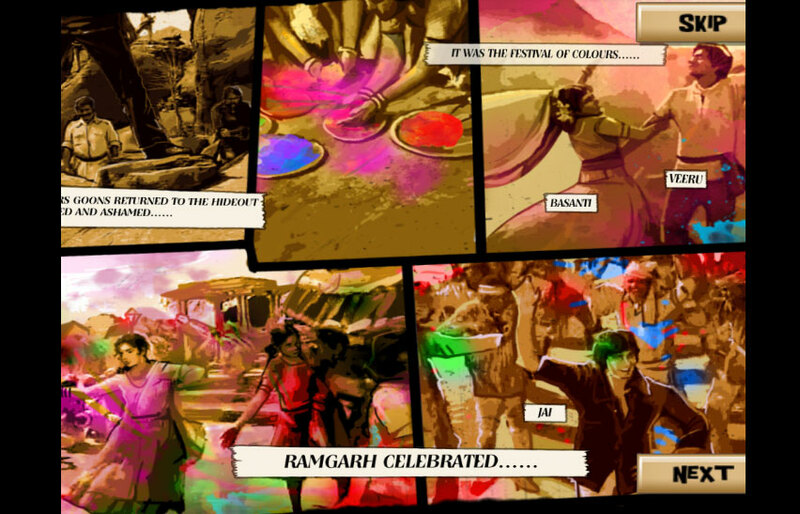 Get ready for all the dhoom dhadaka by our very own Jai and Veeru. 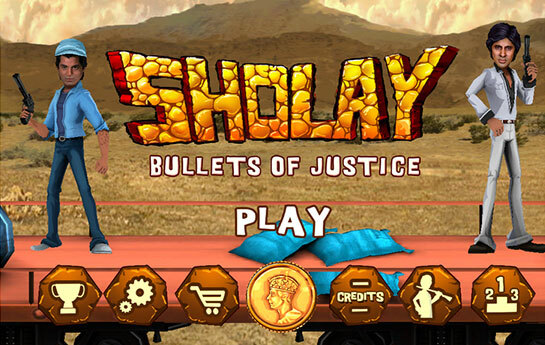 Sholay – Bullets of justice is a single player 4 level based side scroller game. 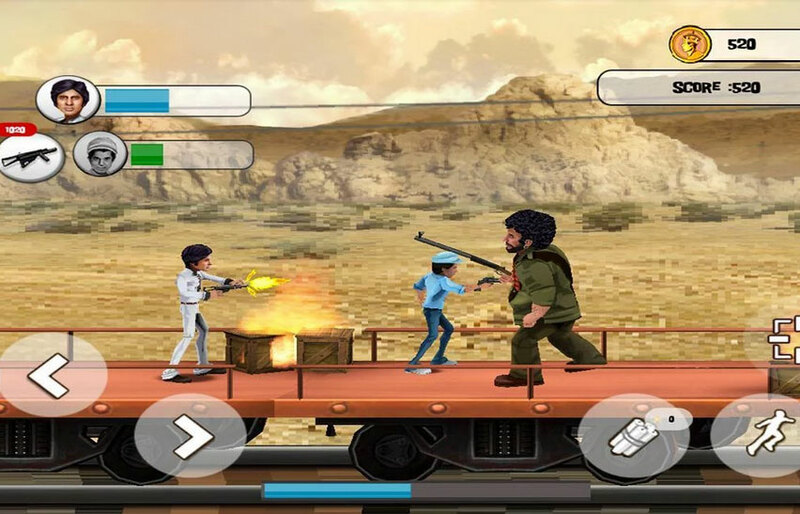 Play as Jai (Amitabh Bachchan) or Veeru (Dharmendra);shoot the dacoits before your health bar depletes using advanced weapons on a moving goods train; unshackle Basanti (Hema Malini) from the jaws of Gabbar Singh (Amjad Khan) and balm the sadness of disconsolate Radha (Jaya Bhaduri) by bringing the maniac to justice. 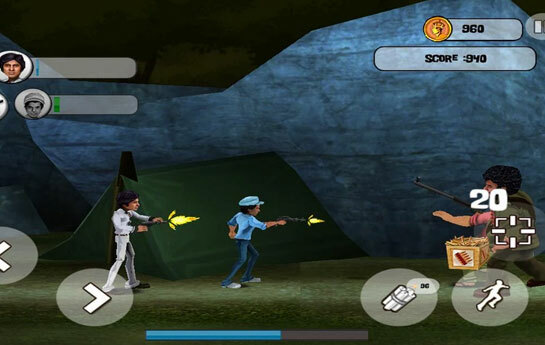 The whole game narrates the story of two petty thieves-the laconic Jai and loquacious Veeru helping the upright nobleman and disabled veteran cop Baldev Thakur (Sanjeev Kumar). 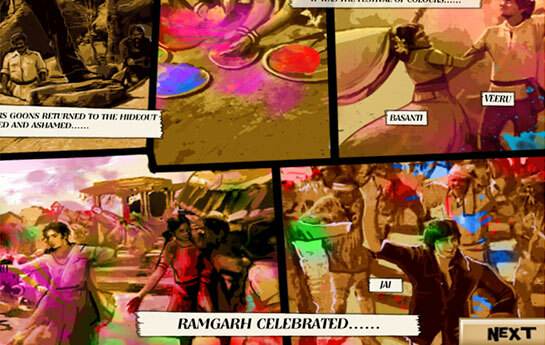 The game has a "wild west" feel and also portrays the locales of Ramgarh as is in the movie. 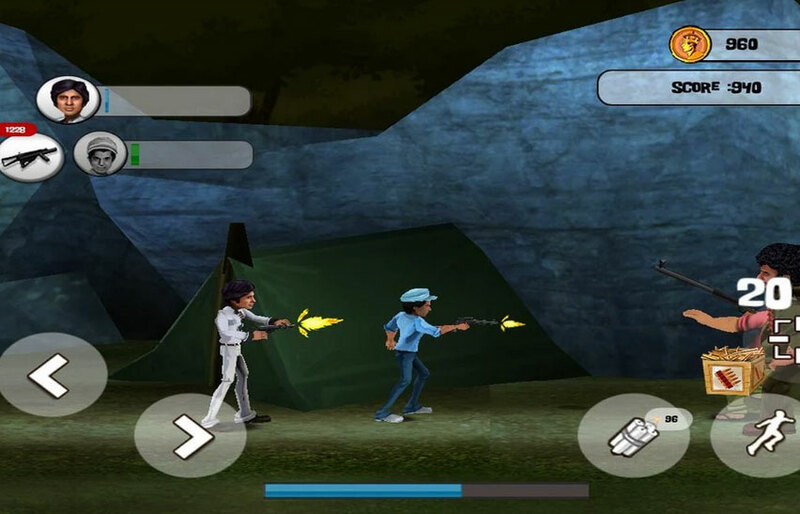 Start downloading this action packed game & relive the ultimate adventures of Jai & Veeru. 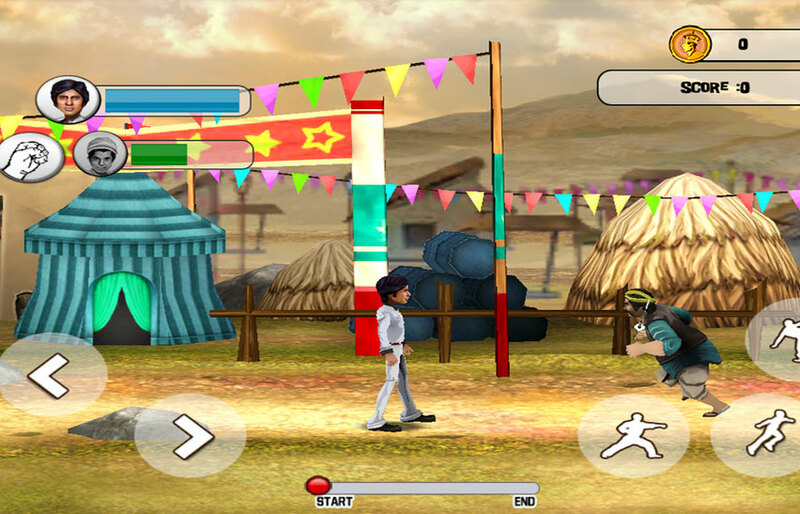 -- Each character with its own stylized animations. -- Yester year weapons to give you the feel of the movie. -- Unlimited ammo supply for revolver. 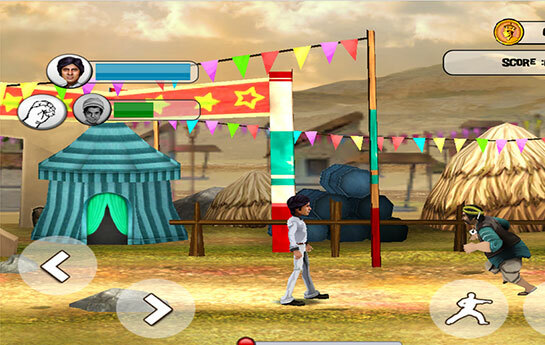 -- Option to throw grenades & use combos of slide & kick etc.